Tour de France director Christian Prudhomme has stated that he intends to promote a ban on power meters to make racing more exciting. But for some riders, like Sky's Wout Poels, this is a measure that won't make any difference. Poels thinks that the banning of this tool, which is used by most of the peloton, will not make any difference in races. "The power meter is overrated," said the rider to Dutch broadcaster NOS. "It is a tool every now and then, just like a heart rate monitor, but cyclists have to ride hard, and if I don't ride hard enough, I lose, whether or not I ride with a power metre. "Cyclists are not machines. We have also feelings and we listen to them more than we look at our power metre." The rider doesn't think a ban on the power meters would change anything and that the chances of more attacks at the Tour de France are slim. "I think there would be a very few riders who think: 'I will go up that first climb at full speed', taking the chance of blowing completely later on the next climbs." 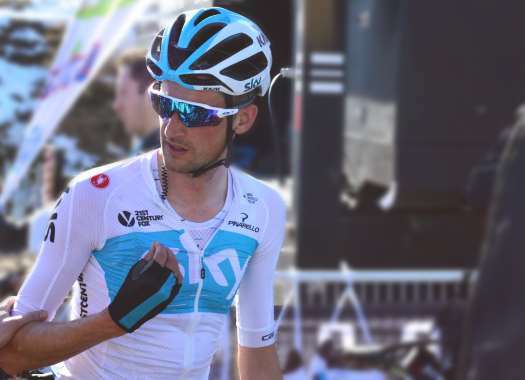 Poels also don't see a point in banning earpieces or making smaller teams. "If Prudhomme really wants an exciting race, we will all have to race individually," the rider jokes.